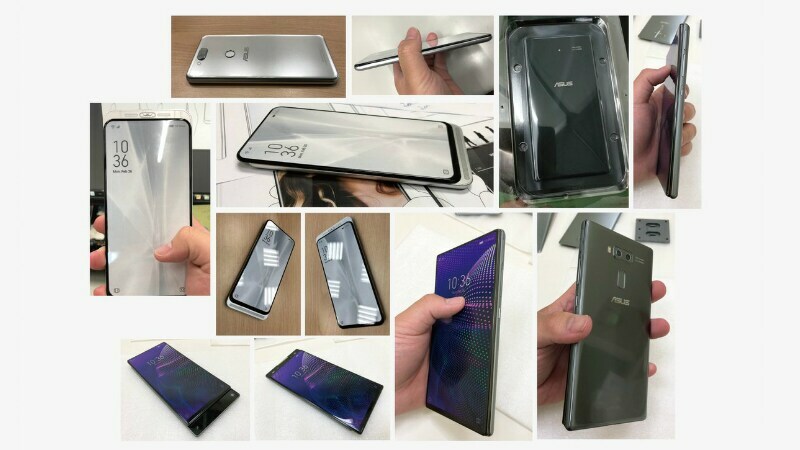 Asus ZenFone 6 range is still a month away from launching, and renders have now surfaced online revealing a rather intriguing design. The renders suggest that the phone will sport a dual-slider design that will enable it to hide features at the top and the bottom of the display. The manual slider will slide on top and out of the bottom, and it can hide the selfie camera, front-firing speakers, and more. These are concept renders allegedly shared by an Asus ZenFone 5 designer, and may not necessarily be the final design of the ZenFone 6. Noted tipster Evan Blass has shared these concept renders on Twitter claiming that they have been shared by an Asus ZenFone 5 designer. The tipster suggests that the phone comes with 5G support and a dual slider, but doesn’t really mention that the renders are of the Asus ZenFone 6. However, it’s safe to presume that the renders are of the ZenFone 6, given that they have been shared by a designer of its predecessor. Evan Blass has also published images of the renders actually being made into dummy units, presumably for testing. Both the phones sport dual front cameras with flash hiding behind the sliders, and dual rear camera setups at the back. One render shows a more rounded narrow display, while the other has a more boxy-shaped display. The first render shows Harman front firing speakers hiding behind the display at the bottom, and the second render shows camera controls for the main camera. The renders reiterate that the Asus ZenFone 6 will sport a notch-less and hole-less display screen. A recent AnTuTu listing suggests Android 9 Pie, Snapdragon 855 SoC with the Adreno 640 GPU, 6GB of RAM, and 128GB of inbuilt storage. The resolution of the display is reported to be 1080×2340 pixels, which hints at a 19.5:9 aspect ratio. Asus is all set to launch its next flagship Android smartphone on May 16 in Valencia, Spain.